One of the questions I get asked most is how to eat healthier foods on the trail when fresh foods (particularly fruits and vegetables) are either heavy to carry or several days out of reach. It’s a really good question. One tasty and nutritious answer is to dry your own backpacking foods. Dried foods pack a surprising amount of nutrition for their weight. In fact, dried foods retain almost all of the nutritional values of their “fresh from the field” versions (Vitamin C is one of the few vitamins lost in the drying process). With that much going for them, it makes sense to dry your favorite veggies in advance. Kale and broccoli are especially easy to dry and are great additions to soups and stews. 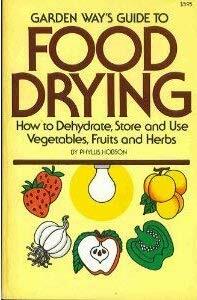 In 1982, I stumbled upon an excellent book by Phyllis Hobson entitled “Garden Way’s Guide to Food Drying“. There are still a few used copies of it floating around on the web. What I love about this book is that it is so thorough. If a food can be dried, Phyllis covered it. While some of the technology has changed a bit (for example, solar dehydrators are now available), the basic principles to drying fruits, vegetables and meats that she covered still apply. One message that also came through strongly is that the secret to effectively drying any food at home is to supply low, consistent heat and, ideally, a way for moisture to escape. No doubt, a food dehydrator is the way to go if you can buy or borrow one. They are made for the job. They provide a regulated heat source and have fans to speed the drying time and purge moisture. That said, you can use a standard oven if you are patient. Here’s how easy it is to get started, using kale as an example. 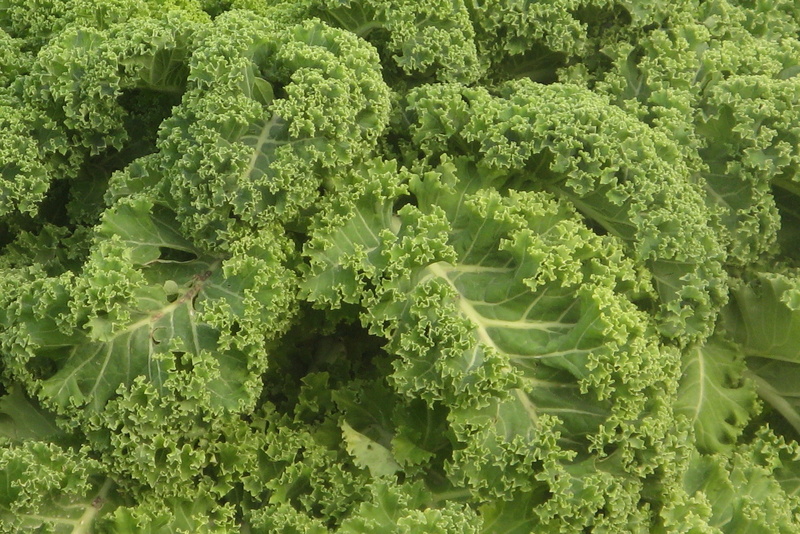 Trim the kale leaves away from the largest part of the stems and throw the stems away. The idea is to avoid having to dry any thick stem pieces, which retain water and prevent your batch from drying at the same rate. Cut the leaves into uniform pieces (3” x 4” is a good size to shoot for), then wash them in the sink. Remove as much water from the leaves as possible before you dry them. A salad spinner is great for this. Follow it up with towel drying (dish towel or paper towels). Set your oven temp at the lowest temp possible (often 170° or 180°). Place the kale pieces on cookie sheets so they aren’t touching — you want the drying air to circulate around the leaves as much as possible. Tip – I set the handle of a wooden spoon to prop the oven door open 1/2” during the drying time. You can certainly dry foods with the door shut, but I find letting the moist air escape shortens the time a bit. Set timer for 30 minutes. Rotate the trays between the top and bottom rack, then shut the oven door completely (take the wooden spoon out), shut the oven off and set the timer for another 15 minutes. Check the kale. If it is completely dry (crispy), remove it from the oven and let it cool to room temperature. If it isn’t done, you may need to turn the oven back on briefly to get the job done. Watch carefully at this stage and check often. You don’t want to burn the leaves. Once the leaves are completely cooled, pack them in a zip-seal bag with as much air squeezed out as possible. I’ve used this basic drying process for everything from zucchini to onions and from spinach to corn kernels. Some foods, like broccoli and spinach, require blanching (plunging into boiling water for a few seconds). Others, like zucchini, can simply be sliced and dried. One thing I can’t emphasize enough is that drying foods isn’t a “set it and forget it” kind of task. Each food has its own preparation and drying requirements. No matter how hard you try to cut pieces uniformly, you’ll find that some pieces dry faster than others. You’ll almost always need to remove some pieces and start cooling them before other pieces have completed drying. It’s part of the deal. These days, I focus on drying greens because so many fruits and some vegetables (tomatoes) are already available in dried or freeze-dried forms these days. I’ve found mangoes, strawberries, blueberries, apples and many more by simply walking the health food store aisles. They make wonderful snacks by themselves or can be used to add an extra burst of flavor to your morning oatmeal. I hope these tips encourage you to explore food drying. The real reward comes when you are eating a delicious meal in the wilds — one made more nutritious because you put in the effort up front.